We often try to satisfy that thirst with other things–seeking to find satisfaction in money, entertainment, popularity, power, relationships, etc. 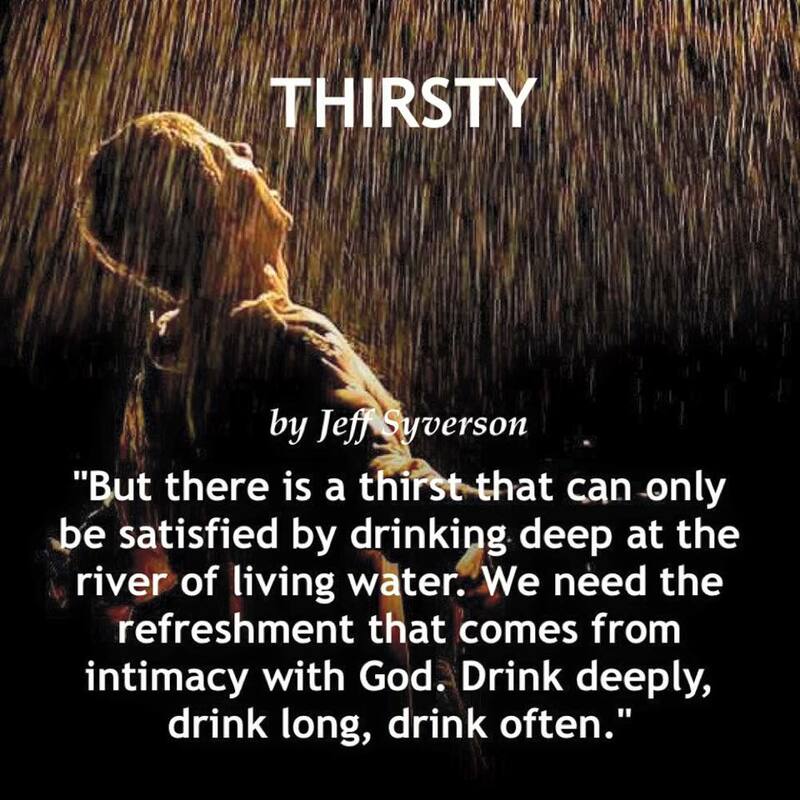 But there is a thirst that can only be satisfied by drinking deep at the river of living water. Like the woman at the well (John 4), we all need to enter into this stream of living water that wells up to eternal life. But we must do more than enter in; we must also drink often at this stream. Our souls are beat up and bruised. We become downcast and discouraged. We need the refreshment that comes from intimacy with God. Drink deeply, drink long, drink often. God is your hope, your desire, your satisfaction. Pant after him, seek him out, and allow him to fill you to overflowing with his living water. He is refreshment and life to your soul. This entry was posted in Devotional Thoughts, Uncategorized and tagged living water. Bookmark the permalink.